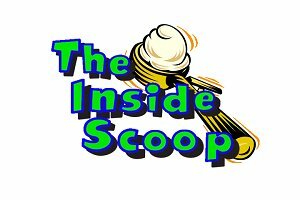 The TV Broadcast class (listed on transcripts as Video Production) is the class that creates and airs the live, daily news program "The Inside Scoop." We are one of a very few schools in Orange County that produces a live daily show for the student body. With the new influx of new equipment this year, our broadcasts continue to improve year after year. If you're interested in the news media, being in front or behind the camera or learning about jobs in the communication field, this class is for you. The all-new technology elective class (still without a catchy name) is coming on strong. With a lab full of new computers and technology from seven career fields, this class has proven to be very popular. In this class, you'll spend 60-70% of the time doing hands-on work in those seven career fields. They are: Construction Technology, Architectural Design, Manufacturing Technology, Materials Science, Alternative Energy, Environmental Technology and Robotics and Automation. These are all career fields in high demand and any would be great choice for a Century student. The sophomore e-Business class is the introductory class in the e-Business Academy. If you want to learn about creating and running your own business in the future, then this class is for you. The e-Business Academy takes great pride in having a higher-than-school-average graduation rate. In the sophomore class, you'll learn many different software applications that would help you create or run a successful business. Computer programs such as Microsoft Word, Excel and PowerPoint, Adobe InDesign, Illustrator and Photoshop, Apple iMovie or Final Cut Pro and online keyboarding lessons are just part of this exciting class. Students then take what they've learned in their sophomore year and apply it to running a virtual business during their junior and senior years. Students compete against other schools in virtual business conferences and enjoy many field trips and special opportunities throughout the three years.